coming of the Normans to Ireland a man named Aylward was granted the lands of Faithlegg in 1177 and this led to the establishment of a parish. At the heart of this parish system was an early church close by to which was a Motte and Baily castle. This would have been the centre of administration and control associated with governing the area. the Venetian Gothic style which is a later style. The windows are also of a different design, although some have speculated that these may have been added at a later stage. The roof would have been of thatch. It is probably that the church would have given a couple of hundred years of service to Catholics despite the upheavals in the country with the Reformation in England and the uncertainty this would have brought. 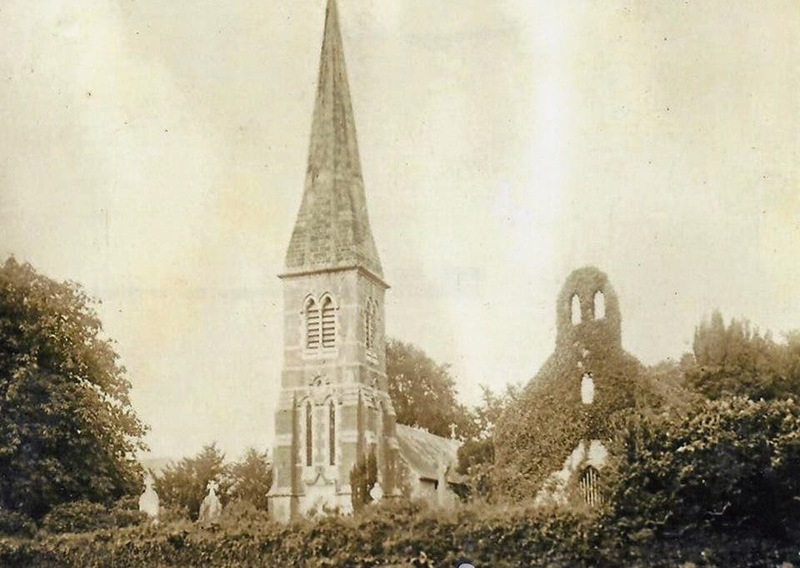 It was most certainly closed when in 1649 the Aylwards were finally removed as landlords of the parish and replaced by Captain WIlliam Bolton. Bolton was described as a “stern old puritan” and the likelihood of a church surviving under his stewardship would be unthinkable. 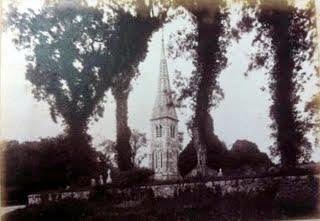 Locally there is a story that before the Cromwellian Army marched on Faithlegg the Priest of the Church buried his vestments with the church silver vowing that they would be recovered once the invaders had been vanquished. Alas, the Cromwellian’s won out, and the Faithlegg treasure remains hidden. 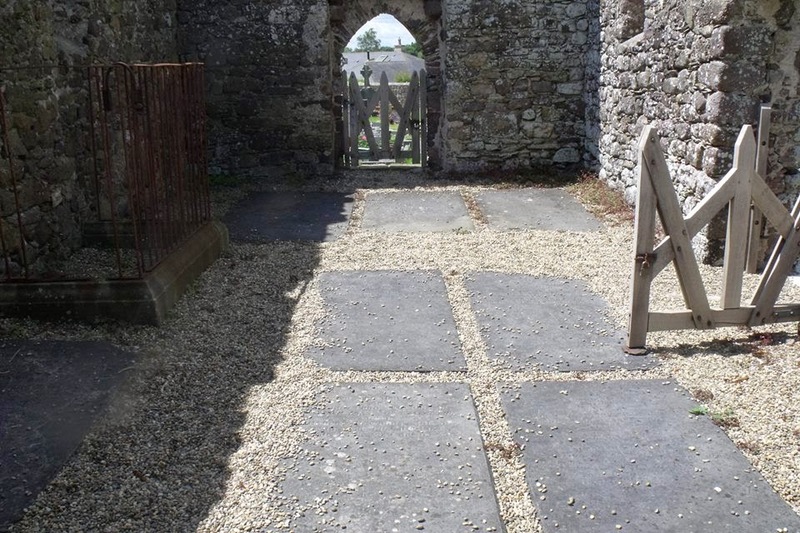 was “out of repair” and down through the years it has remained as such, although this did not prevent the Bolton family of Faithlegg and some of their relations being interred in the chapel of the church. 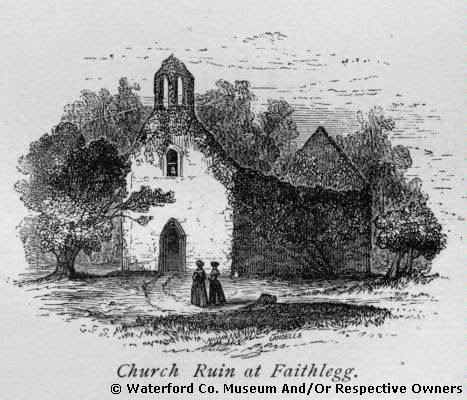 At one point it also held a bell in the eastern gable, as depicted in a drawing by Charles Newport Bolton in 1843, presumably this was the church bell up until the new Spire and Belfry was added to the New Faithlegg Church in 1873.
works. The resulting work has served to protect the building and make it safe and accessible to the present and future generations. A hope of the scheme at the time was that an archaeological survey might be carried out. However, the powers that be determined that there was little to be learned from the site and were of the opinion that such a survey would never be warranted. 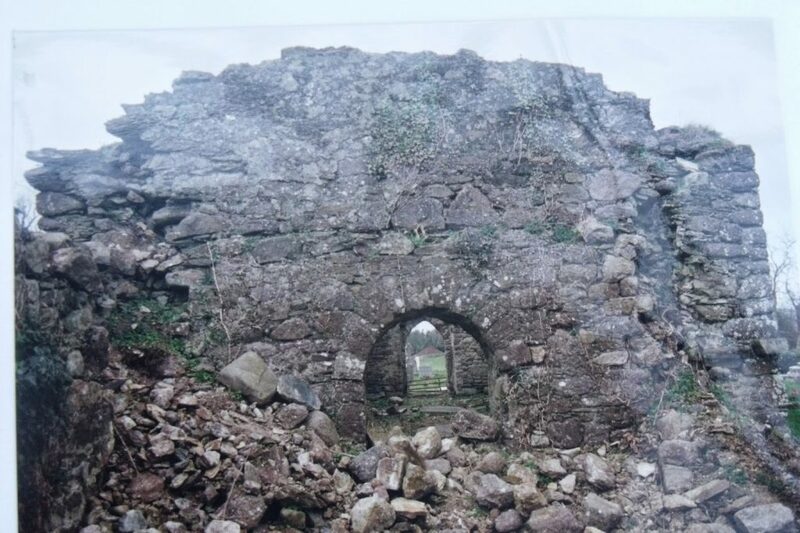 Such a pity, as the Church silver may have been unearthed, although more likely some evidence of an earlier church might have been proved or disproved. 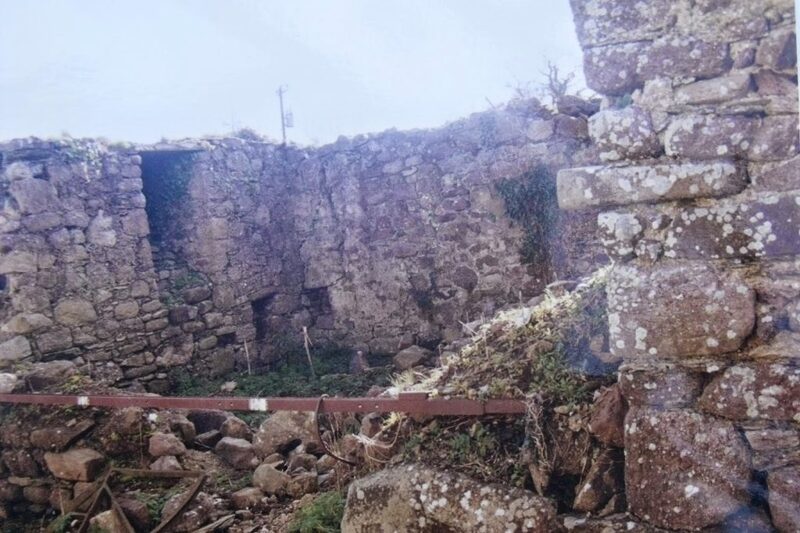 in 2001 there were some concerns that the sum of €25,000 was a high price to pay to preserve such an ancient piece of our built heritage. Personally, I’m very glad that the Graveyard committee had the foresight to work so hard to preserve the building, and that we were so lucky to have someone like Kevin Ryan in our midst that gave so freely of his time and expertise. The building is an historic landmark of Norman times, not just of Faithlegg, but of Gaultier, Waterford and indeed, in my own view, of Ireland. 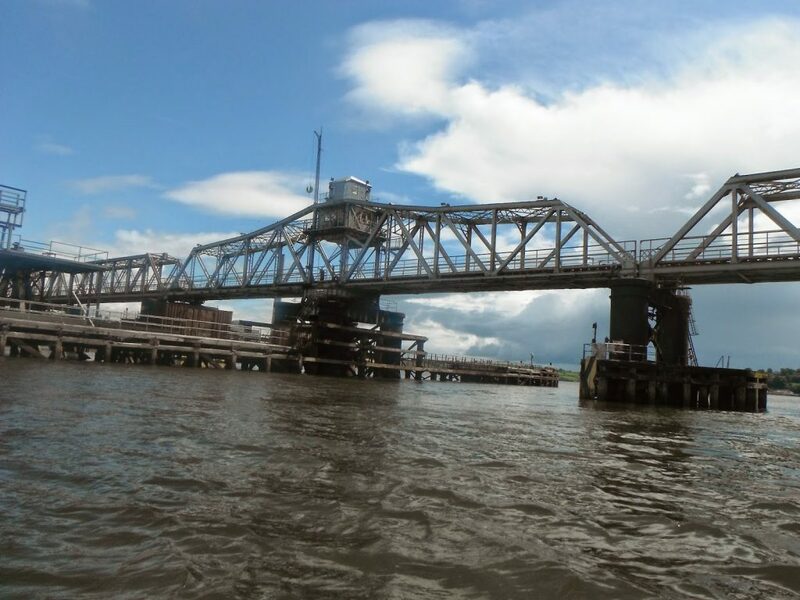 We have written previously about the planning and construction of the Barrow Bridge. The bridge started in 1902 by the firm of William Arrol & Co to a design by one of the foremost engineers of the time Sir Benjamin Barker. 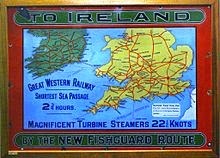 The purpose of the railway line was to open up the South West of Ireland to exports with England in an efficient and quick manner, and speed the crossing times to England and Wales for passengers. The lines specific distinction is that it was the last major railway line to be constructed in Ireland. 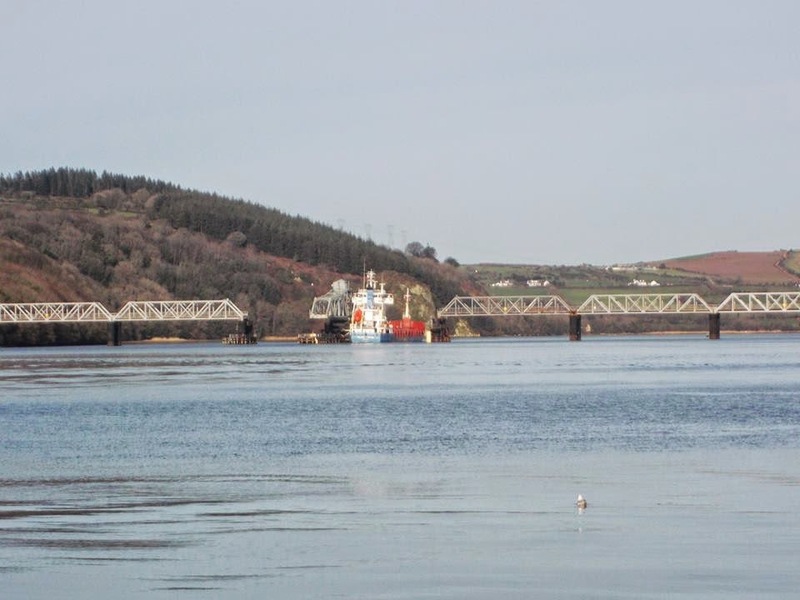 Barrow bridge is 2131 feet in length and has an opening span to allow shipping through to the port of New Ross. 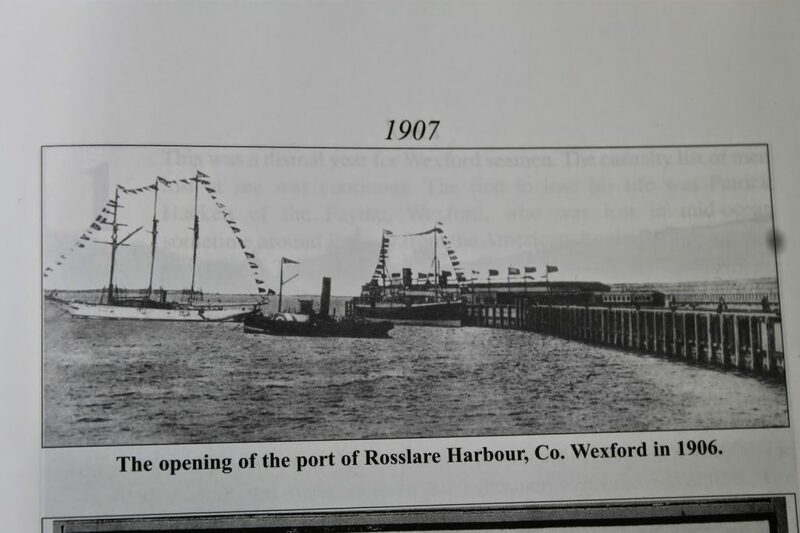 ﻿﻿Both the bridge and the line, including the new pier at Rosslare, Co Wexford was officially opened on Saturday July 21st 1906. 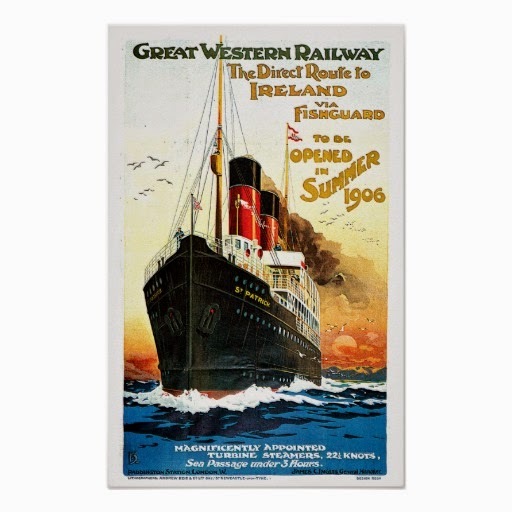 Five hundred guest traveled on a special event train which started out in Dublin. The train had twenty one saloon carriages attached including the royal saloon in which was the Lord Lieutenant of Ireland Lord Aberdeen, who was to perform the inauguration. It is said that it was the longest special event train ever seen in the country. It stopped off at Carlow, Kilkenny and finally Waterford station to collect further guests including the Marquis of Waterford and then on to Rosslare via the new Barrow Bridge. According to Susan Jacob, her grandmother Aggie Power (who lived in Daisybank house) was on that first train, a story handed down through the family. I do recall my father saying that there was some connection between the family and some of the engineers working on the project and Pat Murphy has told me in the past that he understood that some men stayed at Daisybank as lodgers during the construction. Apparently some of the guests fainted with the fear associated with the crossing of the Bridge. 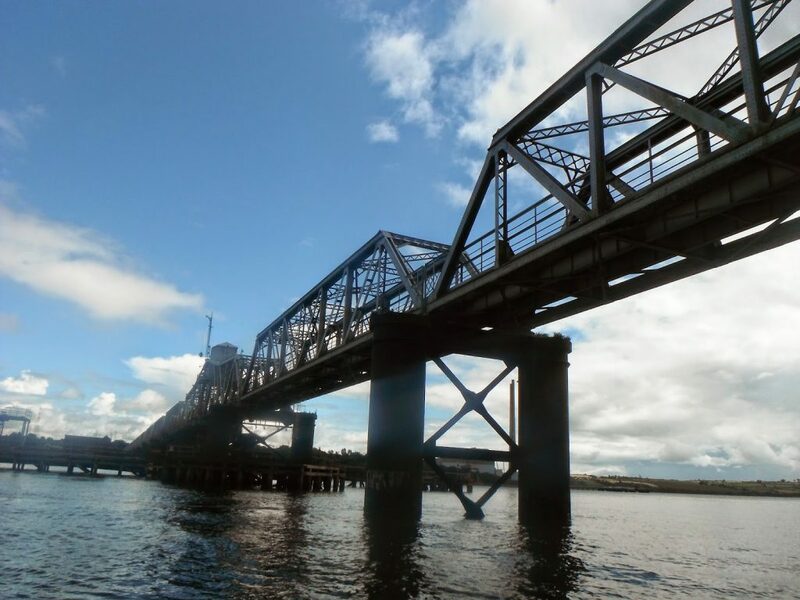 Well they might be in awe, for it was by far the longest rail bridge ever built in the country at the time and would retain that distinction (and possibly still should regarding the expanse of water crossed) until Belfast’s Dargan Bridge and related works were constructed in 1994. It might be hard now to imagine the fear that the travelers might have held in such a crossing, but it should be remembered that the designer and builder had only a few short years before completed a project to replace the largest rail bridge in the British Isles – The Tay Bridge , the predecessor of which had collapsed into the River Tay in 1879 while a train was crossing with the loss of all aboard. The opening span was also a concern no doubt, but passengers need have had no fear. The opening span was operated from a control tower atop of the opening, which was manned and operated via an electrical generator below on the protective pontoon. 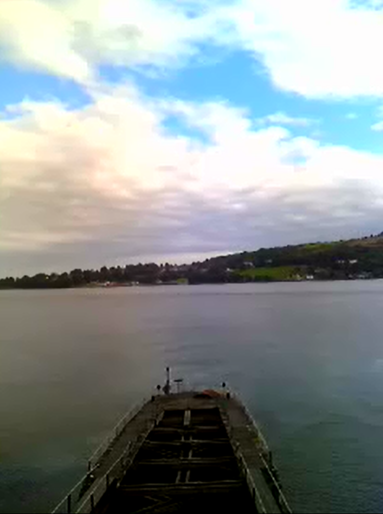 The operator couldn’t open the centre span unless and until signal men on both the Waterford and Campile sides gave a signal to say there was nothing on the line. Indeed initially ships would not proceed through the opening until a signal was also raised from the control tower, a black ball. This would later include a green light when the bridge opening was extended to nightime. Many is the time I marvelled at the nerves of these men sitting atop the span as ships passed through, and I’m sure their nerves were well tested as ships struck the bridge on at least two occasions. ﻿﻿Notwithstanding any guests concerns, the special event train proceeded onto the bridge and came to a halt half way across to give everyone a view of the meeting of the three sisters at Cheekpoint. 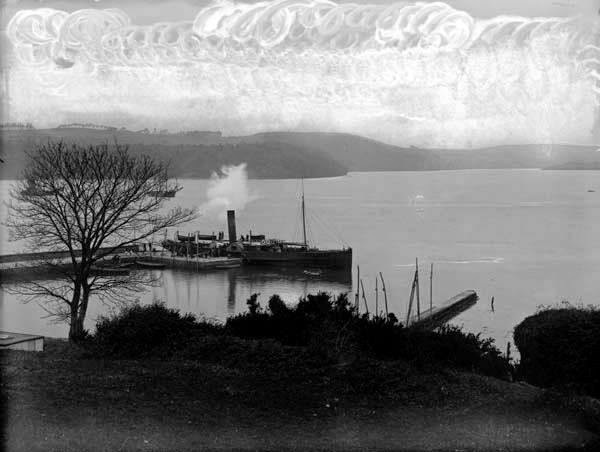 It then continued on its way to Rosslare, where the three masted schooner “Czarina” lay at anchor and the steamship “Pembroke” was at the pier, having sailed earlier from Fishguard with invited guests. As it crossed into Rosslare a 21 gun salute was fired by the local coastguard. The new service was inaugurated from the pier by the Lord Lieutenant and this was followed by a party where several toasts were made to the good fortune of the new company. 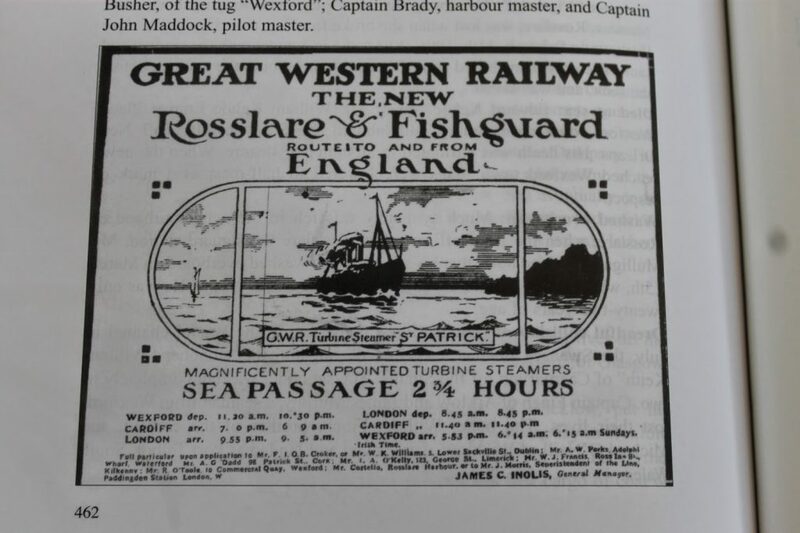 The freight rail service was the first to start running on the line thereafter, followed by a passenger service which came into operation on August 1st 1906 and the first cross channel ferry left Rosslare on Fri 24th August 1906, sailing on the SS St Patrick. The Barrow Bridge gave over 100 years of loyal service before being closed in 2010. An event we have also marked. As a child growing up in a small southern Irish village, I have to say the 12th July “celebrations” in the North of Ireland seemed a long way away and very confusing. 12th July marked the defeat of England’s James II by his Dutch son in law William III (King Billy) at the Battle of the Boyne in 1690 and for many years I struggled to make sense of people in the North who were so passionate about the English monarchy celebrating its upheaval. Of course history is filled with battles, politics, curious characters and intrigue which gets very confusing when layered with hundreds of years of interpretation or misinterpretation. 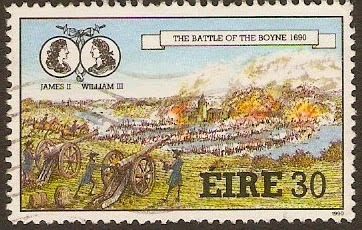 The events that surrounded the Battle of the Boyne were more to do with politics in relation to the English throne and Catholic and Protestant tensions that were widespread throughout Europe at the time. Catholic, James II was created king in 1685 only to be deposed by parliament and replaced with his daughter Mary and her husband William III (both protestant) in 1688. 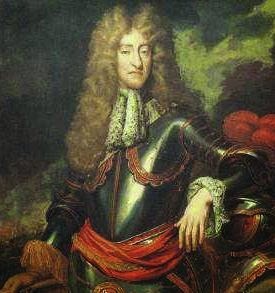 James II fled to France and from there found willing allies in the Irish, who for religious and political reasons thought their interests would be best served with a Catholic monarch. 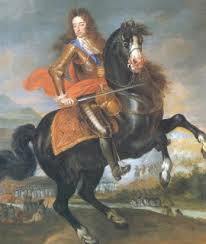 With the support of the French, James II came to Ireland to try build a base from which to regain his throne. His first real engagement was Derry where the apprentice boys overruled the cities leaders and locked his army out, thus creating a siege that would last for several weeks in 1689 but would end in defeat for James who retreated to Dublin. His son in law then entered the scene and the opposing armies met in the Boyne valley. The Battle was a disaster from the start for James and his army of Irish/French and English amongst other nationalities. Sensing defeat James II (who was watching from a safe distance with a protective entourage) turned south and fled. His journey took him via Dublin and Wicklow and finally to Waterford. It was here that James stayed overnight in Ballinakill with the Dobbyn family. 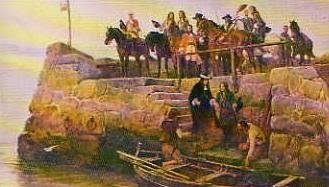 A French ship was waiting at Duncannon and as soon as the defeated monarch was abord it slipped out on the ebb tide and sailed away to France where James would later die. 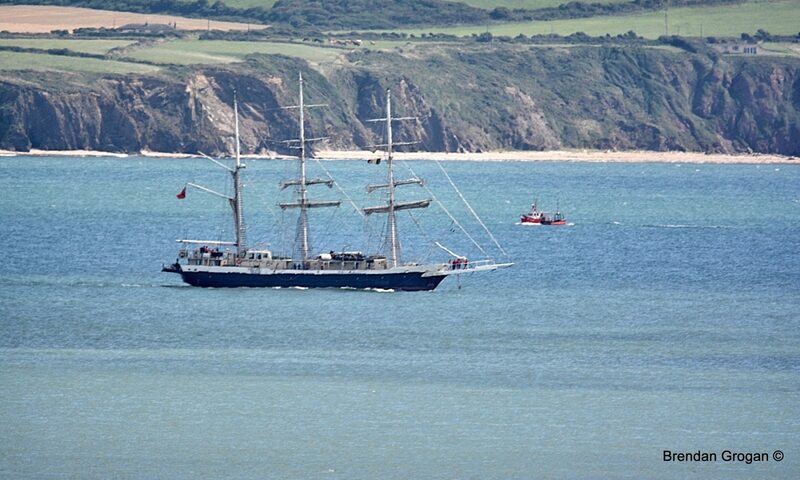 King Billy followed him south a few weeks later and he too left via the estuary, apparently waiting aboard ship off Passage East for a few days for good weather. Now I wholly admit that this is my own interpretation, or telling of the story, which I was told as a teenager and is probably filled with my own biases. I realise there are others and two that I have read in the last year that I can at least point the curious reader to include Jim Hegartys short history of Passage – Time and Tide, see page 11. Also Julian Walton’s On this Day Vol 1 Stories of Waterford’s 11,000 years pp 114-5. Anyone growing up in Cheekpoint, or anyone that visits can’t but be impressed with the Barrow Railway Viaduct. 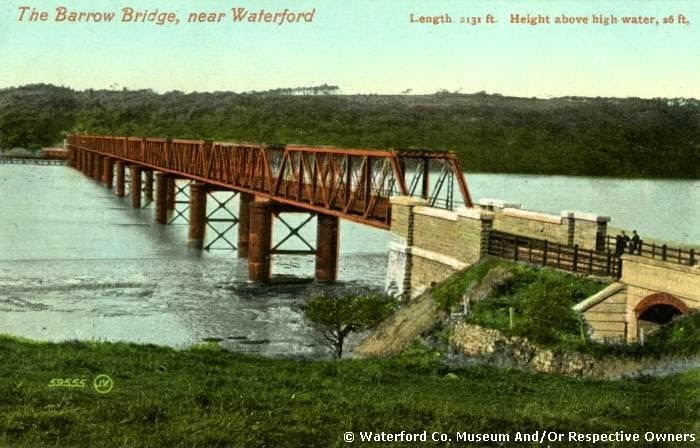 Stretching from Co Kilkenny to Co Wexford across the Rivers Barrow and Nore (which join above New Ross) it’s 2131Feet in length and up to the 1990’s was the longest railway viaduct in the country. The bridge, which was many years in the planning, was part of an initiative to link Waterford with Rosslare Port and thus speed the journey times between the South of Ireland and England/Wales. 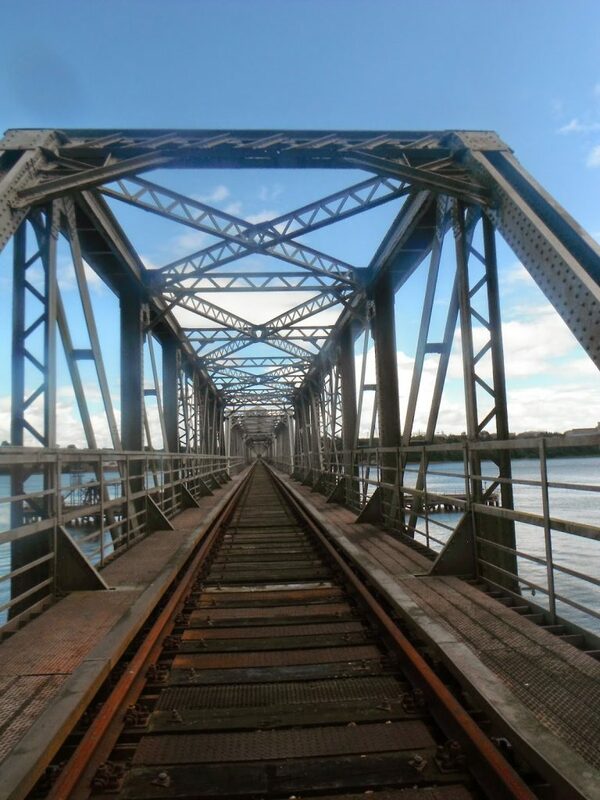 As a concept, the railway line originated in 1864 and elements of the project were advanced in stages but it was not until the turn of the century that the project to span the river became realisable. New Ross Harbour Board had many concerns for the proposal of a bridge, as they wanted to ensure access to the port at all times. At one point it appears that the plan was to bring the railway line to Passage East and that passengers would be ferried across the river. If you think that’s bizarre consider this, designs existed from 1833. Of course there are many unique solutions available to the engineering mind. It was also conceived that the line would run along by the river at Snow hill (instead of through Drumdowney Hill) and cross to Great Island over the site where the Power Station now stands. This would have certainly been an obstacle to the ESB in 1965. However one of the formost engineers of his time, Sir Benjamin Baker, was employed to draw up plans that would suite the needs of both the railway and the Harbour Board. The plan that was accepted necessitated the tunnelling of Drundowney, and the provision of a opening section that allowed ships access and egress from New Ross port. Both elements causing significant cost and engineering challenges. As said the Bridge would be 2131 feet in length and consist of 13 fixed spans mounted on twin 8 foot diameter cast iron cylinders filled with concrete. 11 spans would be 148 feet long and the two closest the opening would be 144 feet. The opening had to be in the deepest part of the river channel, thus the Kilkenny side. The bridge had to be 25feet above high water on the spring tides. The railway would be a single track steel line. This would be built within the protective casing of a mild steel girder frame with cross trusses to provide stability. One of the more detailed and trickiest engineering elements was the opening. The opening span would be constructed on 4 pillars and would turn with an electric motor, situated on the pontoon around the pillars. The opening had to pivot with an 80 Foot clearance allowing ships through. Inbound ships took the Wexford side of the opening, outbound, the Kilkenny side. Tendering for the bridge commenced in late 1901 and was won by a Glaswegian firm – William Arrol & Co. The winning bid was £109, 347 and work had commenced by June of 1902. The main yard for supplies was based in Wellington Bridge Co Wexford and apparently the work was carried out from the Wexford side. As it happens, one of the biggest issues was unforeseen in the tendering process. The twin pillars onto which the spans were placed had to be laid on a foundation of the river bedrock. However, as they proceeded out into the Barrow the depths got ever deeper and in some cases the workers had to dig to 108 feet below the mean water level. Such extra work added a cost of £12,000 to the bridge. Not all costs were financial however. My wife’s great grandfather John Bible who resided in the Waterside fell during the construction and damaged his spine. He was listed in the 1901 census as an Iron Moulder and he recovered to an extent that he could move around without the use of his legs and went on to use his skills in the repair of musical instruments in Waterford city. John was also a gifted accordion player, and according to family tradition went on to cut the first, or one of the first, records in the country. Despite the challenges, construction went smoothly enough and as the photo above shows it was well advanced by April 1905. 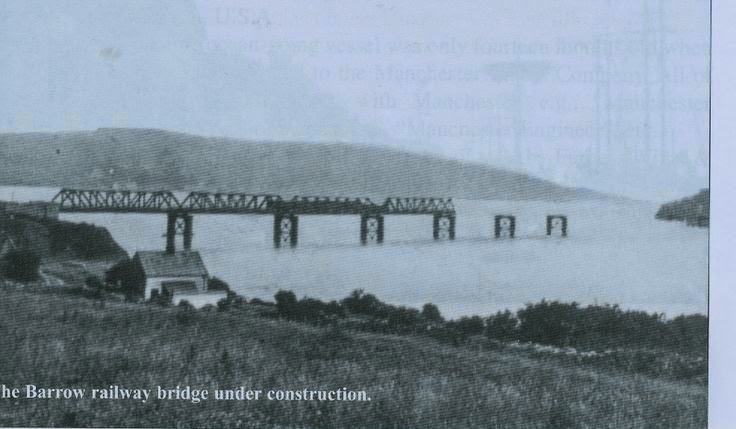 Despite this, the bridge did not finally open until July 1906. Closer to the date we will do a piece on the grand opening.